But any time I have ever read a synopsis for an urban fantasy title, it’s an instant pass, not interested. It doesn’t matter that I like the contemporary books I’ve read by Cynthia Hand and Jennifer Lynn Barnes, I have no interest in their urban fantasy. Why? Well, it comes down to that paranormal/supernatural elements are generally not my cup of tea. I don’t want to read about fallen angels (unless it’s a la The Screwtape Letters) or vampires, because I just don’t have an interest there. Urban fantasy–“Low” fantasy set in our world that is set in an urban fantasy and the setting plays a partSo I would consider City of Bones to fall into this, but not necessarily the Unearthly trilogy by Cynthia Hand. I also feel like urban fantasy tends to cross into paranormal often with various creatures like vampires, angels, etc. This classification works pretty well for me most of the time. . . . but I feel like there are always books that could belong to more than one group. That’s helpful, Stormy, thanks! I think I had heard of contemporary fantasy before but sort of forgotten about it. I can understand the difference between it and urban pretty well the way you explained it. A. M. Dellamonica’s “Indigo Springs” doesn’t have supernatural critters at all, IIRC. 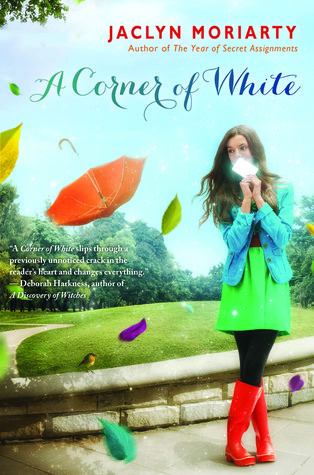 It’s based on the premise that magic starts to seep into the real world and starts to change things. Charles de Lint is mentioned as one of the best writers of contemporary fantasy/UF. I haven’t read him but he was writing before the UF boom. I can recommend some urban fantasy books with faeries. Do you like those? Seanan McGuire’s series where the first one is “Rosemary and Rue”. The main characer is half human and half fae. Emma Bull’s “War for the Oaks”: one of the first urban fantasy books so it’s no longer contemporary. But is has elves and rock and roll. Rachel Caine’s Weather Warden series. The first is “Ill Wind”. The main character is part of a group whose job it is to control Mother Nature. The supernatural creatures are Djinn. K. A. Stewart’s Jesse James Dawson series, the first is “Devil in the Details”. The main character is a modern day samurai who saves people’s souls from demons. Oh and he’s happily married. For a mix of futuristic SF and magic: Liz Williams’ Detective Chen series. The first is “Snake Agent”. It’s set in Singapore 3 in China and has gods and goddess and demons. Off the top of my head I can think of Neil Gaiman’s “Neverwhere”. I haven’t read any fantasy with faeries but I want to try to keep an open mind to it. Thanks for so many suggestions! I’ve never really thought much about genres, and I’m clueless when it comes to differentiating them. 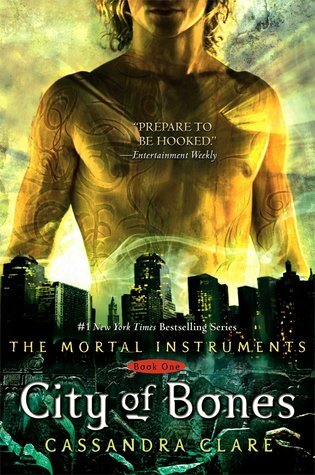 From what you described, City of Bones sounds like it would fit, but I felt the same. It was a little too much to believe that all those fantasy elements would be part of a big city. Percy Jackson did a much better job, though, mostly since it kept a modern take on everything, instead of mixing the old and the new. I look forward to reading Percy Jackson then! I’m exactly the same way. I like the idea of urban fantasy but I guess I want a more mythology or fantasy based angle, not PNR or werewolves, etc. And I’ve had a hard time finding those. AS for recommendations, I don’t know if these would be your cup of tea, but I liked Through the Door by Jodi McIsaac (Celtc based) and Siren by TRici Rayburn- Through the Door was the better one in my view. I have not read the sequels yet. And Cats of Tanglewood Forest is good, it skews a bit younger but is worth a read. More fantasy oriented. Thanks for the recs! I’m glad to know I’m not alone in what I’m looking for in terms of this sort of fantasy. It’s funny, as soon as I saw the post title I thought, “I like urban fantasy” but when you started listing books I was like, “nope, can’t think of any urban fantasy books….”! The line between high fantasy and urban fantasy is pretty straight forward. And, I think, magical realism and urban fantasy are pretty well divided, in that magical realism is really just contemporary and the elements of magic are just extensions of our world (things done with a little bit of magic) instead of entire fantastical elements (like unicorns or outright magic that can control the elements or something). But the line between paranormal and urban fantasy, that I think is the tough one. Starcrossed by Josephine Angelini is about descendants of greek gods (much like Percy Jackson). Twilight is vampires. Unearthly by Cynthia Hand is half-blood angels. Does the presence of a supernatural creature make it paranormal? So, would an x-men book be like urban fantasy? Or have I actually read any urban fantasy books? Ah, this is such an interesting post! I think a lot of the time, assigning a book into a genre outside of the intended audience genre (like YA, MG, NA etc.) is a bit personal to the reader. For example, I classify City of Bones as paranormal because it’s got all the paranormal creatures, and the main ‘human’ characters are special demon hunter people. But I can understand why it would fall under something like urban fantasy, because it is set in OUR world, but the elements we’re reading about are just ones that every-day people don’t know about. Magic realism is really hard for me to classify, because I don’t necessarily see the difference between books that are apparently magic realism and books that i classify as paranormal, like City of Bones. I think maybe magic realism is where the magical/fantasy/paranormal part is a lot smaller than something like City of Bones, and only happens to certain people who are just human. I know come people classify the books in The Raven Cycle as magic realism, but personally I don’t see it that way since some of the characters are ~special~, and not just contemporary in nature. I would suggest The Raven Cycle for you to read, just because it’s so lovely, and if you are interested in writing a book set in a generally normal world with magical elements, the books capture that in a really lovely way! Thanks for your thoughts, Chiara! I agree that is very hard to classify subgenres and that it can definitely vary from person to person. I might have to finally check out The Raveyn Cycle once all the books are out.